@LKarge and @CKarge @BiGGiePauls33 any February updates?
. Bottom right of the green Nem. I will get a close up before the end of February. @a1enos, sorry to hear that your pistol shrimp messed with your entry. You were doing great and I hope that your entry recover and continues grovwing. I started with 9 and I now have 19-20. In my December post I still had 9. In In late January I had 5-6 more (took pics but did not post). So far in February, I have additional 5-6 more. @CKarge , Claire started with 2 and is 4-5. Claire's entry keeps getting knocked off. Glue it several times. If it's not against the rules, I'm going to try gluing Claire's to a fresh frag mount. 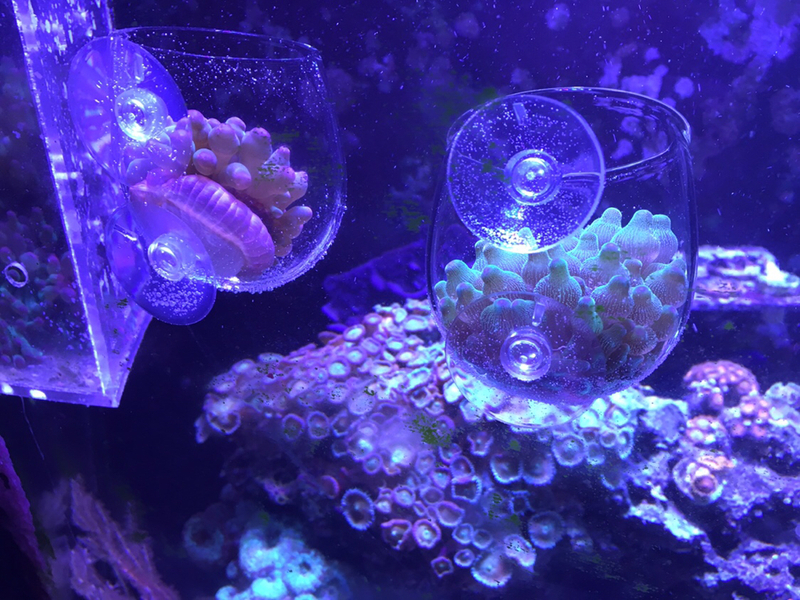 @LKarge, it shouldn't be an issue as mine blew around my tank for a like a week or so before I found them again and mounted to a non living snail. Get those last updates in! Although it's hard to see I now have 10 polyps and 2 babies sprouting. The meeting for this is March 10? I started with 9. I counted a few days ago and had 19 large-med polyps, 6-7 small and looked like 1-2 more babies sprouting. I'll take a final count tonight and post the count and pictures this evening. Claire's is still at 4, looking healthy and we will still have fun growing it out more. My final count is 27-28. Breakdown is 19 polyps, 6 babies and 3 just sprouting. Some are hard to see so I have included several pictures, some showing the babies and sprouts circled. Congrats to the person that won!! The winner by a growth of 300% is @LKarge. Was a close race. And I was always out of it . Lee let us know which sponsor you would like your winnings towards! We will pay them and you get to shop for free! Congratulations to Lee @LKarge for literally smashing the competition and congrats to all that participated. Special thanks to @Countryreefer for donating the Bam Bam's to the club and all of us for this contest. Much appreciated. So what's the secret? Or the setup? Countryreefer for supplying the Bam Bam's. teatimecrumpet, the secret is a lot of TLC. I'll go with Acro Garden. the secret is a lot of TLC. teatimecrumpet. I don't really have any secrets. The Bam Bams were grown in my frag tank setup; a 40 gallon long tank with a 40 gallon sump below. I do regular water changes. I have an older AI Sol and T5's, a hang on protein skimmer on the sump and low circulation pump in each tank. Other than that I do feed or dose with Reef Roids and Kent products like Microvert, PhytoPlex and Coral-Vite. Hope that helps.